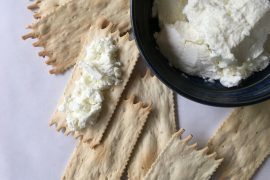 Cheesemaker Laini Fondiller has been producing cheeses at her off-grid Lazy Lady Farm in Westfield, Vermont, for the last thirty years. 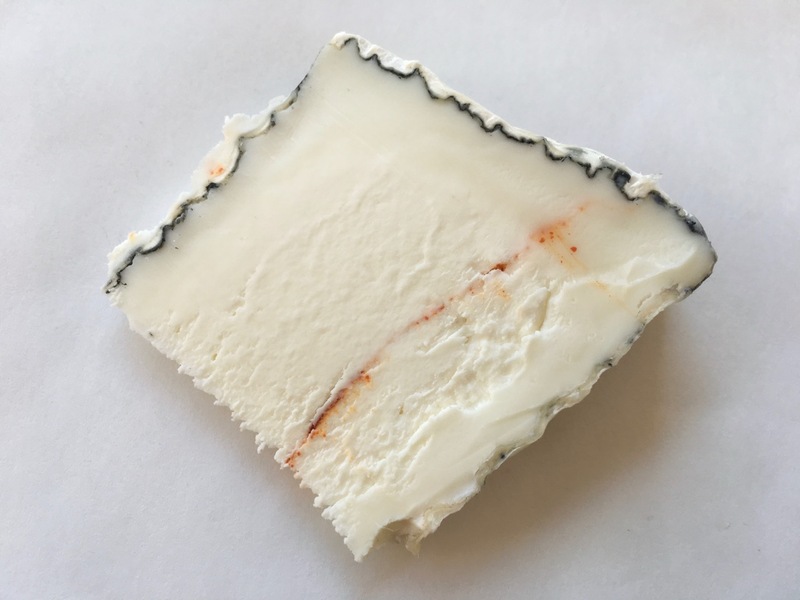 The Thin Red Line is mostly made with goat’s milk, but when her Alpine does dry up in late fall, she sometimes makes it as mixed-milk cheese, mingling goat with cow. Starting in March, though, it’s goat through and through. This is a lactic cheese, made with pasteurized milk and a bloomy rind dusted with vegetable ash plus spores of geotrichum and P. candidum. 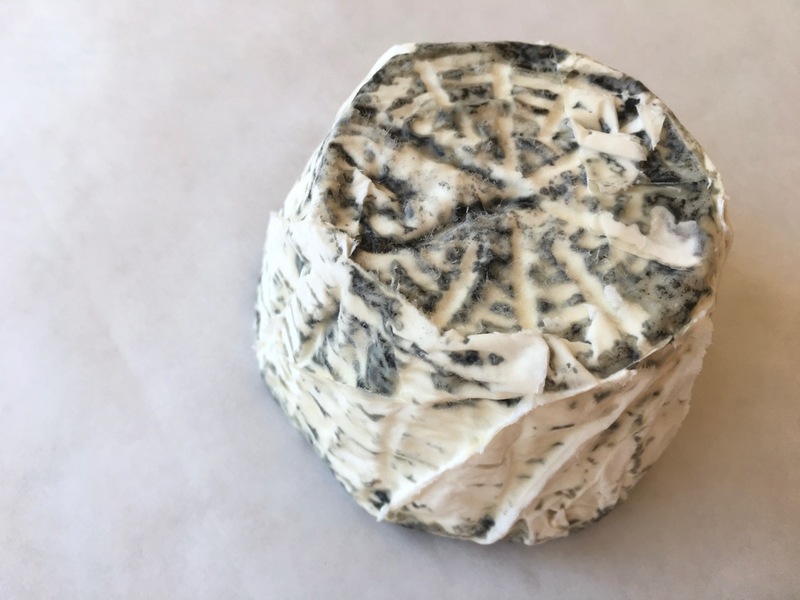 On the tongue, the rind is hugely mushroomy, with a springy texture and good chew. 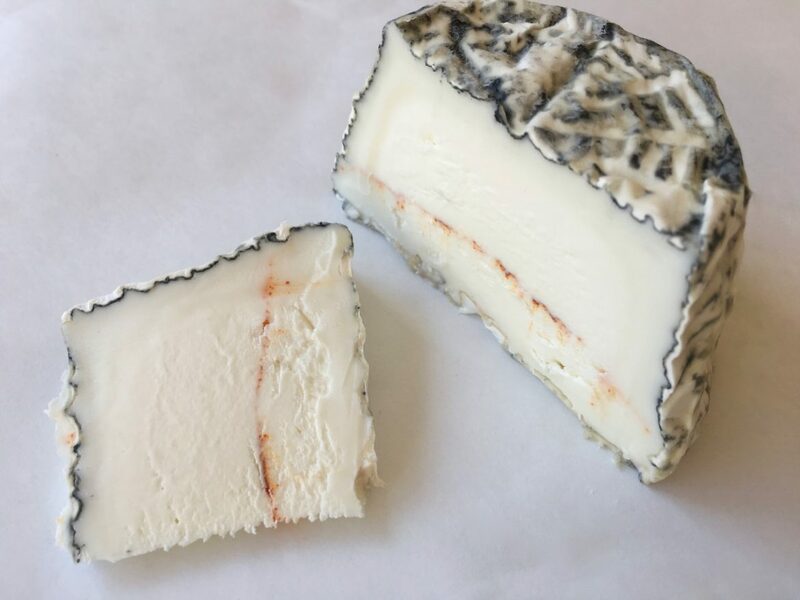 This particular specimen has begun to ripen, so its mantle is soft and melting in contrast to the cheese’s chalky, off-white paste. Moderately acidic, it is also profoundly salty. The Thin Red Line in question is a layer of smoked paprika, which gives the body a kick of sweet pungency to its otherwise umami-rich bite. That’s a genius choice. Pair this cheese with acidic wines that will match its goaty sharpness. But you also need some sweetness or some pronounced fruit to counterbalance all that salt. Avoid tannic wines and any with heavy oak influences, which will overpower the cheese’s delicate flavors and texture. My favorite matches for Thin Red Line are off-dry Riesling (those from New York’s Finger Lakes are latitudinally compatible) and Vouvray. If you must go red, reach for a fruit-driven Pinot Noir from California or Oregon. Sold as a 7-oz. dome | about $24/lb.